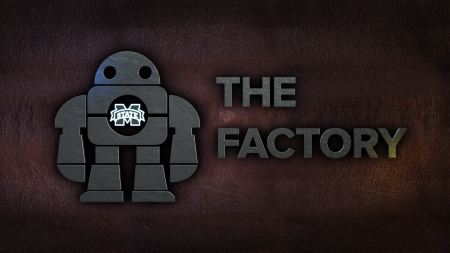 The Factory is a Maker Space dedicated to the creation of things. 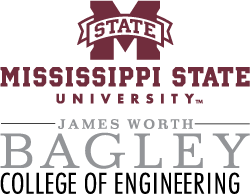 By networking available labs on Mississippi State's campus, students will have access to the tools they need to create whatever they can imagine. To join The Factory, come by the space during operating hours. The leader on duty will give you a tour of the space, collect dues, and sign you up. Once you are a member, the leader will train you on whatever equipment you are interested in using. Student, staff, or faculty members at MSU can be members of the Factory. The money collected with dues will be used to replace materials consumed by members. Spring Semester - Expect the makerspace's first day to be Wednesday the 18th of January! The Factory is open from 5pm until 9pm Monday through Thursday. Dues must be paid each semester to access Factory equipment and shops. Current forms of payment include cash, check, or card. Unfortunately, we are unable to charge student accounts at this time. The Shops currently available to the lab will expand rapidly. As more shops are made available, members will gain access to more equipment that offers more capabilities. This is our headquarters where you will find a leader during open hours and access to a variety of general purpose tools. The Mitchell Memorial Library Digital Media Center program offers their own 3D printer. There are also a variety of tools available at the library to check out. This lab will give members access to 3D printers at cost. The X-Carve will give student the ability to mill Woods (both hard and soft), various plastics and non-ferrous metals like aluminum, copper and brass. The working area of our machine is 1000mm x 1000mm. Materials will be made available for purchase by members for use in projects. Materials that are often useful in designing and building new projects can be hard to find in Starkville. By keeping these materials available, Makers can develop their projects much faster. Workshops will be made available to members covering a wide range of topics. Some shops and equipment can be dangerous for inexperienced users. These shops will require specialized training that will be offered periodically in workshops before members can gain access. Some workshops may have fees to cover the cost of materials and instructors. Many workshops will be free of charge, and will be made available on a first come - first serve basis. In this workshop you will be introduces to MIG welding, and complete a short project. The orientation workshop is administered by the leader on duty when a new member joins The Factory. The purpose of the workshop is to make members familiar with Factory rules, tools, and policies.